Between life being hectic and not feeling well I have fallen a bit behind in my posts so my dear friend Sheila stepped in to help me out tonight! If you don't already follow Sheila, make sure you head on over to Pointless Cafe and check her out! Thank you so much, Sheila! Hi everyone!!! 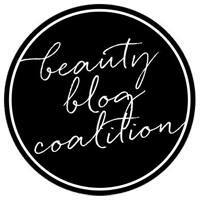 I'm so excited to be doing a guest post for Ashley and you guys! I have a really pretty one for you and it's available now and ON SALE! Love it when that happens! Thrilling is a bluer version of Husbands Just Don't Understand and it's a gorgeous blue-leaning teal with loads of shimmer and a bit of scattered holo. Formula and application were flawless! It can be a one-coater even, but I've used two coats and no top coat for the photos. Wow, this one really got me. It's just really pretty and sparkly and it's saturated enough that it even looks good on my bleached flour skin! What do you think? It's ON SALE right now at Above the Curve's site for $7.00 for a full-sized bottle! Above the Curve polishes are available on their Big Cartel shop here and their Etsy shop here. You can also follow them on Facebook here to stay up-to-date on availability, new collections, promos, etc. The BEST part? $1 of every bottle sold goes to Shriner's Hospital for Children! Other polishes in full-sized bottles retail for $9.00. When you have time, come on over and visit me at Pointless Cafe! Thanks for having me Ash!